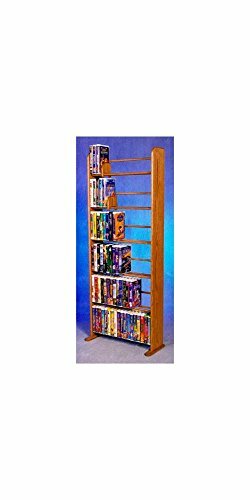 6 Row Dowel VHS Rack (Honey Oak) by Wood Shed at Tobby News. MPN: 605-honey. Hurry! Limited time offer. Offer valid only while supplies last. Capacity: 150 ''Disney'' type VHS tapes. Made from solid oak. Honey oak finish. 24.25 in. W x 10 in. D x 62 in. Capacity: 150 "Disney" type VHS tapes. Made from solid oak. Honey oak finish. 24.25 in. W x 10 in. D x 62 in. H.
If you have any questions about this product by Wood Shed, contact us by completing and submitting the form below. If you are looking for a specif part number, please include it with your message.